Beginning at 9 AM, there will be a welcome, and a short ceremony. 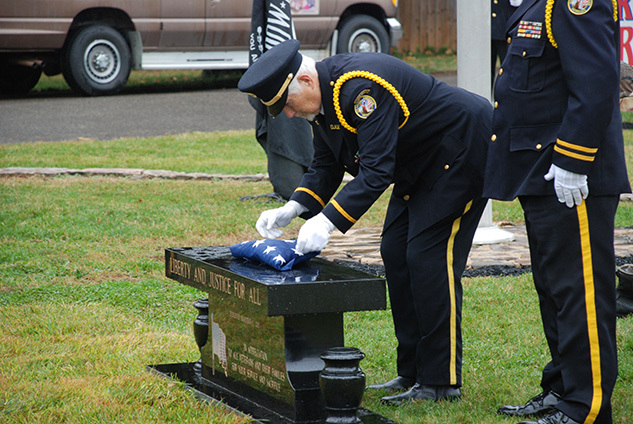 Then Boy Scouts from Pack 352 in Salem, Virginia will mark each veteran’s grave with a flag. Everyone who stops by will get a free gift. Tours will provided to interested visitors. This entry was posted in Cedar Lawn Memorial Park, Events on April 28, 2017 by fairview. 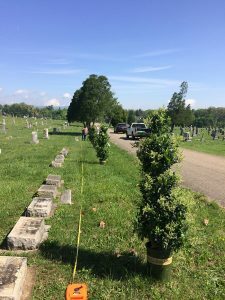 On Arbor Day, Friday, April 28, 2017, we planned trees in Fair View Cemetery. The trees, and more are coming, were a gift to the Fair View Foundation. 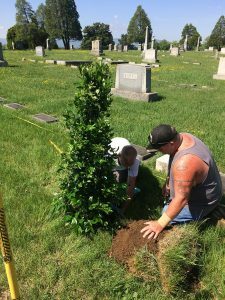 This entry was posted in Events, Fair View Cemetery on April 28, 2017 by fairview. 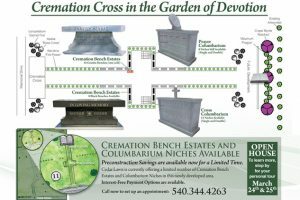 Register now to save an additional $200 instantly off the pre-construction sale price of your personal cremation bench estate. If you name is chosen, you will be contacted by phone to set up a time to receive your savings certificate. The winner may use our special interest-free payment option, available with an appropriate deposit on all pre-need bench estate. Complete and submit the form below to enter to win. Type the characters above in the blank below and click the Submit button to complete your entry. This entry was posted in Cedar Lawn Memorial Park, Events on April 24, 2017 by fairview. This entry was posted in Events, Fair View Cemetery, News and tagged Veterans Plaza on April 7, 2016 by fairview. 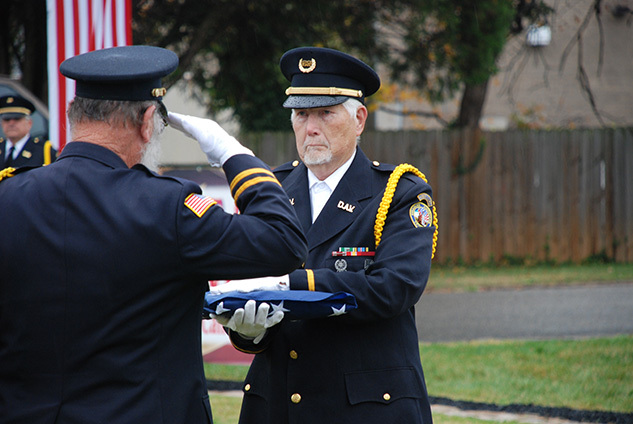 The Veterans Plaza at Fair View Cemetery was dedicated on Veterans Day, November 11, 2015. The ceremony also commemorated the 125th anniversary of the cemetery. 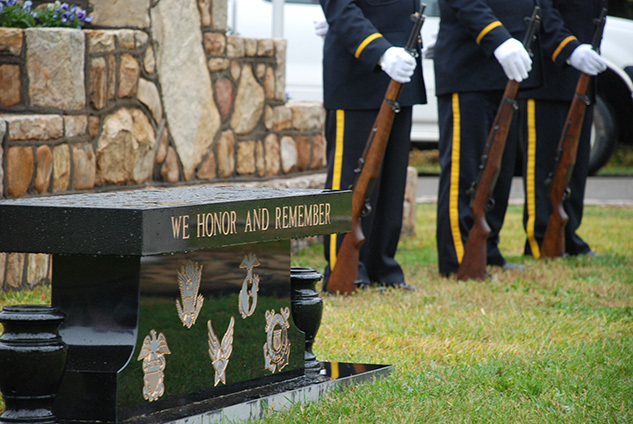 Fair View offers free burial space on its grounds for any member of the U.S. Armed Forces in the Veterans Plaza. 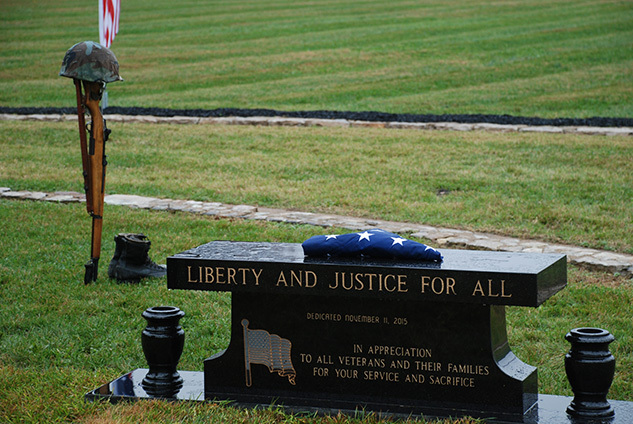 The cemetery has already accepted its first military burial, and the grave was marked in time for the 11 AM program. Roanoke City Council member Bill Bestpitch attended on behalf of the City of Roanoke. The plot of land Fair View has sectioned off has enough space for around 1,200 to 1,500 burial plots. 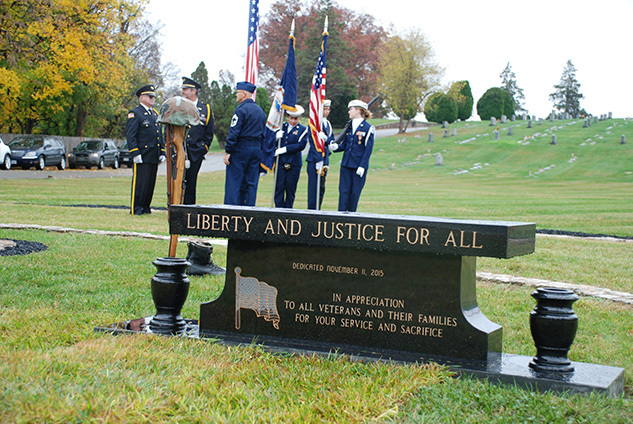 This entry was posted in Events, Fair View Cemetery, News and tagged Veterans Plaza on November 18, 2015 by fairview. Every veteran deserves to be properly honored with dignity and respect. 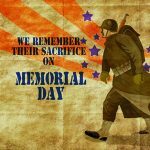 We recognize the sacrifice our soldiers and their families have made for our great nation. 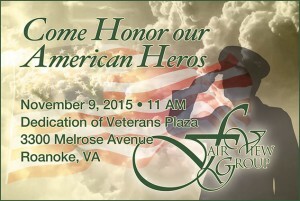 Come and honor our heroes. 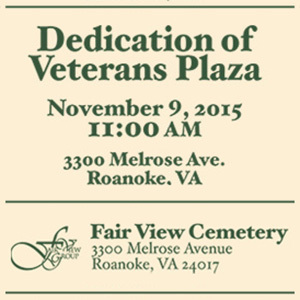 You are invited to the dedication of the Veterans Plaza at Fair View Cemetery. Roanoke City Council member Bill Bestpitch will be in attendance. Other invited guests include: Roanoke mayor David Bowers, the Disabled American Veterans, and the William Fleming High School ROTC. This entry was posted in Events, Fair View Cemetery, News on October 24, 2015 by fairview. We just celebrated a wonderful Mother’s day weekend. 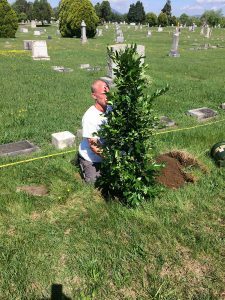 Sixty families pre-ordered the free flower bouquets we offered and placed them on their mothers’ gravesites. Preparing the bouquets offered at no cost to the families. 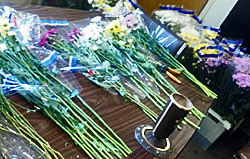 The bouquets ready for the families to place on their mother’s gravesites. Families enjoyed the well-kept grounds, the peacefulness of the park, and the convenience of the location. 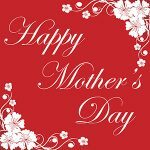 We are grateful that we were able to play a part in helping so many families honor their mothers on this special day. 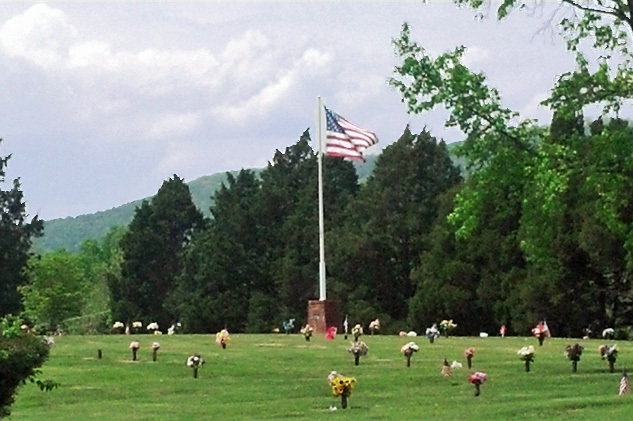 Families honored their mothers by placing the flowers on their gravesites, leaving a beautiful view. This entry was posted in Cedar Lawn Memorial Park, Events and tagged Mother's Day on May 15, 2014 by fairview. 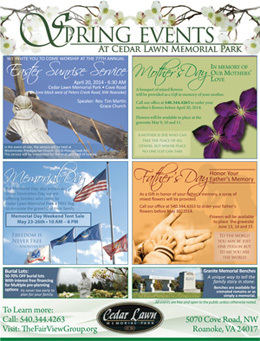 Your invited to celebrate Easter with us at our annual Easter Sunrise Service at Cedar Lawn Memorial Park at 6:30 AM on Easter morning, April 20, 2014. 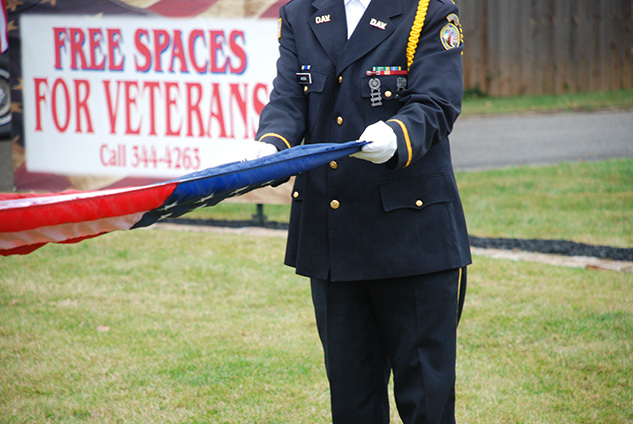 This entry was posted in Cedar Lawn Memorial Park, Events on March 21, 2014 by fairview. 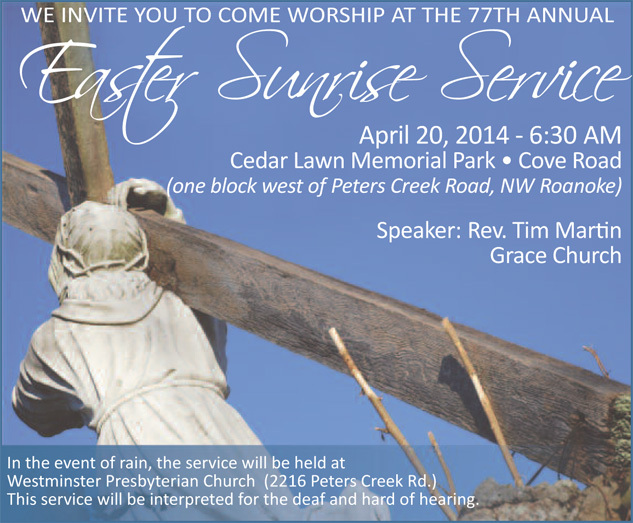 Join us for our traditional Easter Sunrise Service on April 20, 2014 at 6:30 AM. 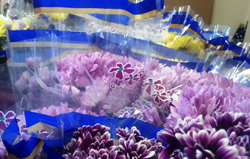 Receive our gift of a bouqet of mixed flowers for you to place on your mother’s grave for Mother’s Day. Please call our office by April 30th to place your order. 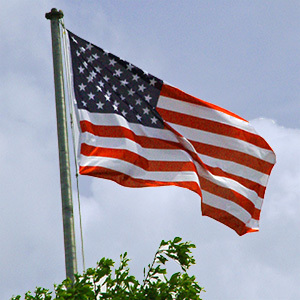 Come by Cedar Lawn on Memorial Day to receive our gift of a flag for you to place on your family member’s grave. We’ll also be holding our annual Tent Sale. 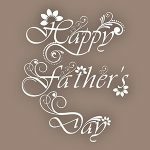 Receive our gift of a spray of mixed flowers for you to place on your father’s grave for Father’s Day. Please call our office by May 30th to place your order. 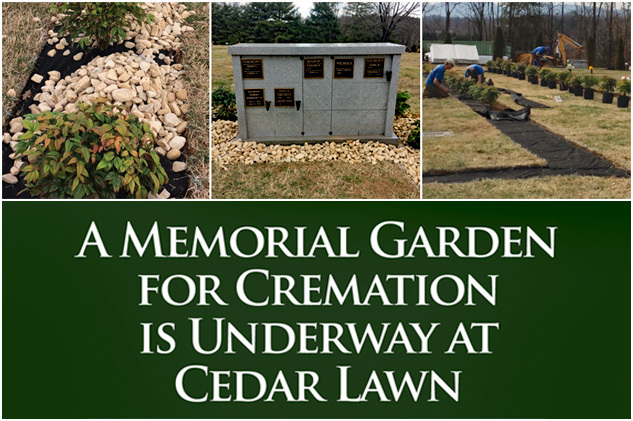 This entry was posted in Cedar Lawn Memorial Park, Events, News on March 20, 2014 by fairview. We offer affordable individual and family pre-planning programs tailored to your personal wishes. Pre-planning relieves your family of the stress and anxiety of having to make decisions at a difficult time. Call (540) 344-4263 or email us to schedule an in-office or in-home consultation with our trained, licensed counselor. Receive our Pre-Planning Guide as our free, no-obligation gift to you and your family. Keep your property owner information up to date with our online Lot Owner/Family Member Form. Give us feedback with our online Family Survey. Use our Contact Form to let us know how we can help you.